1. Big Size. Ideal for pain relief for large parts like back, waist and hip. 2. Natural and Odor Free: Main active ingredient-capsaicin found in chili peppers. 3. Obvious and Long-lasting effect. 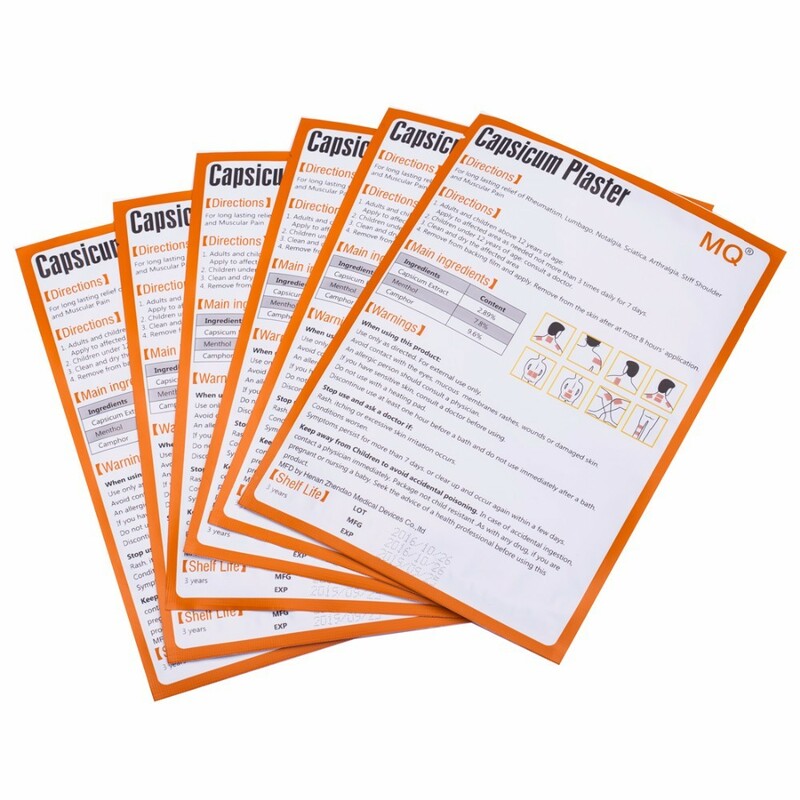 Capsaicin alleviates pain by wearing down the pain messangers. 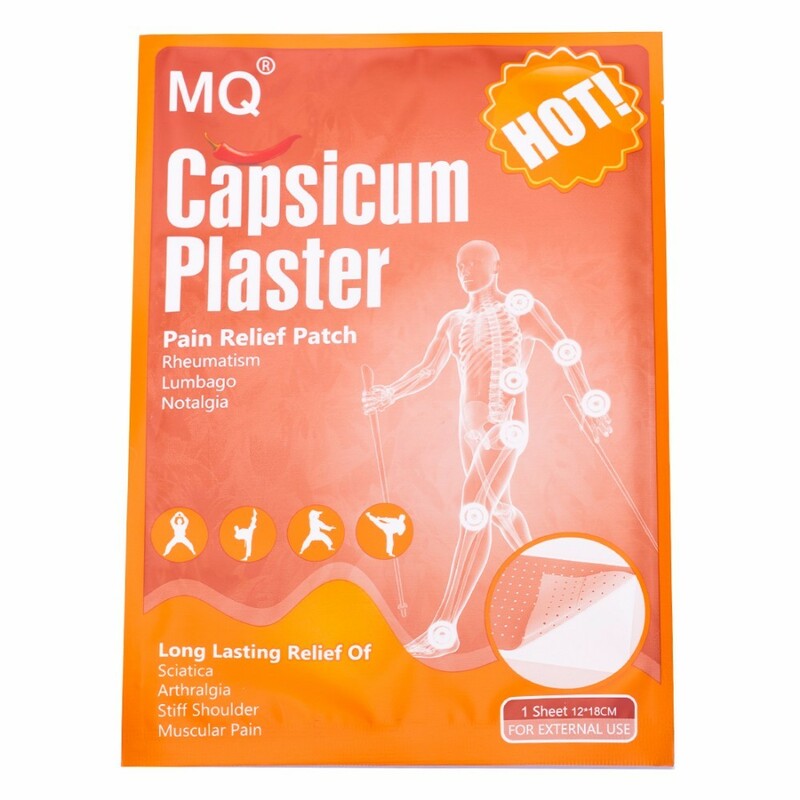 MQ® Big hot capsicum plaster is specially designed for pain relief for big parts like back, waist, and hip. One piece is enough to cover the injured area, convenient and easy to use. 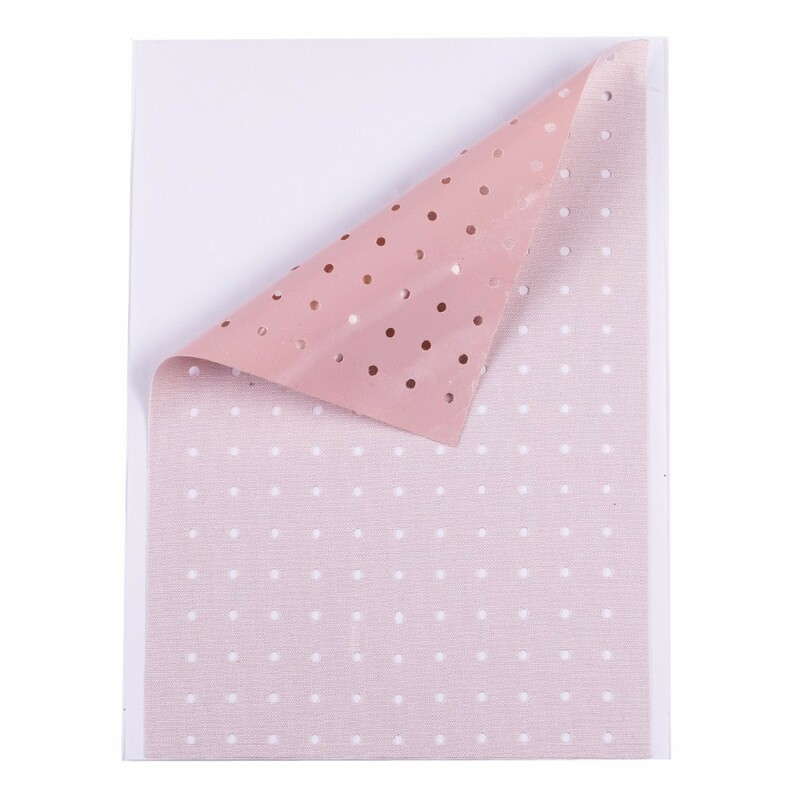 Capsaicin, the main active ingredient in this patch, has been topically proven to be effective in alleviating pain by wearing down the messangers in an injured area. Menthol is used to penetrate efficacy into the affected parts. Another active ingredient, camphor, is also an important herb in muscle pain relief. 2. If you are allergic to aspirin or salicylates. 3. Symptoms clear up and occur again within a few days. 4. Rash, itching or excessive skin irritation develops. 2. Clean and dry the affected area. © 2017 MQ Health Mall. All Rights Reserved.